Before I start this one, the credits for this wonderful recipe goes to one of good friends. This sure has become one of most favorite lunch box for my kiddo. Try and let me know if your kids enjoy it!! 1. Soak the above ingredients together (1 to 5) for a minimum of 6 hours and then grind it along with the cooked rice. 2. Make sure that the batter is smooth. 3. Add salt and then mix the batter for at least 5 minutes. 6. 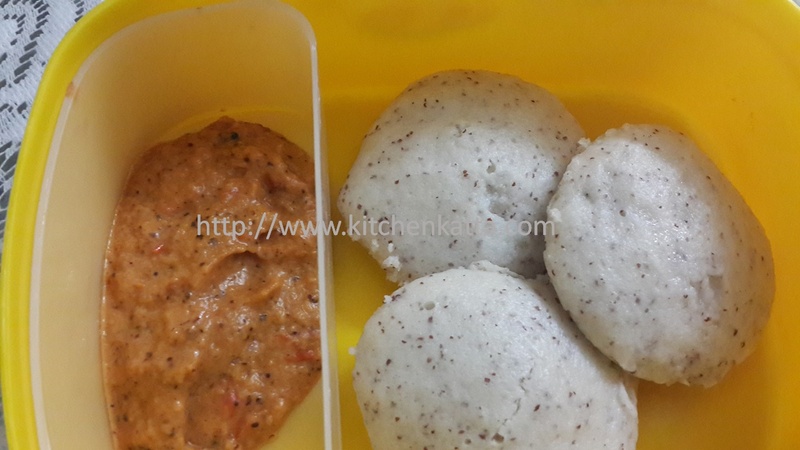 Serve with tomato chutney or coconut chutney or sambhar.